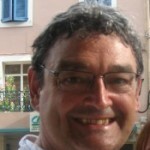 Hi folks, why not add a photo to your profile? It’s easy (ask Pam or myself if you’re not sure how). It’s a great way for us all to get to know the other members and helps when you’re trying to organise games.